Discussion in 'B4J Tutorials' started by Erel, Feb 4, 2014. Faster compilations. More resources can be reused between compilations. This makes following compilations much faster. Support for compiling libraries with Java 11. Debugger improvements and bug fixes. New "folders ready" cross platform compilation step. Useful for updating files. The list of subs above the code editor was rewritten. It behaves better (doesn't miss key inputs and always jumps to the clicked sub). file:// links can be ctrl + clicked. BorderColor attribute added to the IDE theme files. Code editor jumps to the error line when there are Java compilation errors. I'm happy to release B4J v6.30. This update includes the same debugger optimizations added in B4i v5.00 which significantly improve the performance of resumable subs in debug mode. Debugger optimizations, mainly with resumable subs. jServer v3.00 is included. Jetty, the underlying open source project, was updated from 9.4.6 to 9.4.10. This is a large update for Jetty with many bug fixes and improvements. There is an issue with the latest version of conscrypt itself. For now it is recommended to use Java 9+ if you want to enable Http/2 (it is simpler than with previous versions). File: CopyAsync, Copy2Async, ReadBytes, WriteBytes, ListFilesAsync. Node: MouseEntered and MouseExited events. Node: PickOnBounds property - sets whether mouse events are intercepted based on the bounds or the non-transparent region. Pane_Touch event - The Touch event is an alternative to the various mouse events. Its signature is the same as B4A and B4i Panel_Touch event. jControlsFX9 - Fix for notifications. MenuItem / Menu - ParentMenu property. Bit.ArrayCopy - Same as ByteConverter.ArrayCopy. B4XCanvas: DrawPath, DrawPathRotated and MeasureText. B4XView: TOUCH_ACTION constants for the Touch events. XUI: Scale property. Always 1 in B4i and B4J. Same as 100dip / 100 in B4A. B4XBitmap: Scale property. Always 1 in B4i and B4J. Same as Bitmap.Scale in B4A. Custom class templates. Any library can add class templates. jBitmapCreator v3.11 and xCustomListView v1.62 are included as internal libraries. 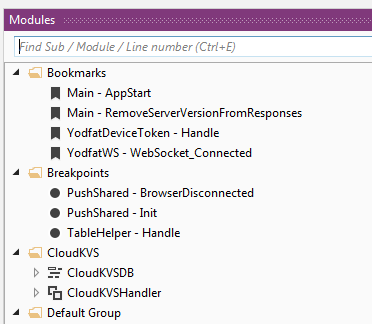 Ctrl + Click on class types and custom types. It is simpler and better. Modules and file tree support grouping. B4A services and activities can be shared with B4J. They will be treated as static code modules. The modules internal attributes are sorted in lexicographical order to reduce changes. Button Click event. The new event replaces the Action event. The Action event still works but doesn't appear in the autocomplete list. The Click event is the same as in B4A and B4i. Previous animations are cancelled when a new animation of the same type starts. This behavior is similar to the behavior in B4A and B4i and it makes it much simpler to work with animations. jXUI library is now an internal library. Resumable subs can return values with the new ResumableSub type. The underlying server library (Jetty) was updated to the latest version (9.4.6). This is a major upgrade. Note that due to security issues, weaker versions of SSL are disabled by default (TLS 1.0 and TLS 1.1). It is possible to re-enable them if needed. Improvements to the layout loading process. It is a bit faster and more flexible (it will be used in the future for a planned cross platform helper library). Form.AlwaysOnTop - Sets the form to be above all windows. Better handling of StartMessageLoop / StopMessageLoop methods in debug mode. OkHttp B4J library updated and is based on OkHttp v3.5. ConnectionPool updated and is based on c3p0 v0.9.5.2. Quick search supports replacing including replace in all modules. Icon picker - Filter field (supports filtering by name or hex code), names in tool tips. Fix for size offset in the WYSIWYG window. LogError - Prints to StdErr. jServer - CurrentThreadIndex always returns 0 for the main thread. Fix for single threaded handlers that could become non-responsive after unhandled errors. Initial support for Java 9. Java 9 is currently in beta version. Not everything is supported yet. Find all references - finds references in layout files and CallSub calls. Many improvements to the IDE docking framework, especially with floating documents that now behave like regular windows. URLs in comments or strings are clickable. jControlsFX library was updated to latest version of ControlsFX. Gzip compression for server responses (Server.GzipEnabled). DosFilter - A filter that helps with protection against denial of service attacks. RadioButtons added with the designer are grouped automatically based on their parent. - CSSUtils module is now included as a library. - OkHttp and jOkHttpUtils2 are also included. There are two versions of jOkHttpUtils2 included. One for UI apps and one for non-ui apps. - Bugs and other minor improvements. Support for right to left orientations. Starting from v4.00 the minimum version for UI apps is Java 8.40 and for server solutions is Java 8 (make sure to update it under Tools - Configure Paths). The main focus in this update is the debugger performance. Several advanced optimizations were implemented and the overall performance, in most cases, should be significantly better. BitmapDrawable in the designer supports more options. Slider control added to the designer. 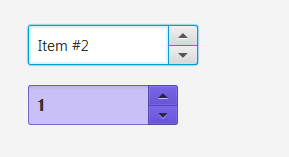 Password mode added to TextField (in the designer). ChoiceBox added - This is a simpler version of ComboBox. Currently there is an issue (in JavaFX) with ComboBox and Windows 10. Consider switching to ChoiceBox until this issue is resolved. In most cases this is the best place to write data. New IDE with many improvements. 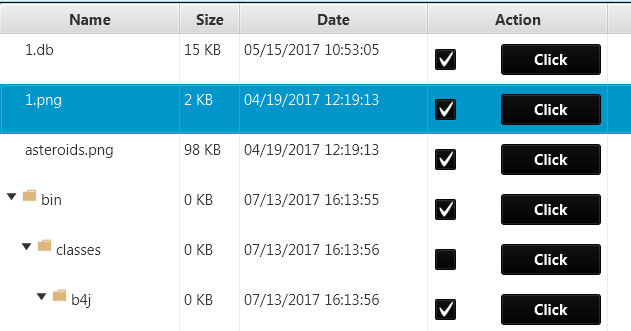 Files list supports drag & drop. Clean project option also refreshes the libraries list. Can be accessed with a new shortcut (Ctrl + P). New warning for invalid code in the globals subs. 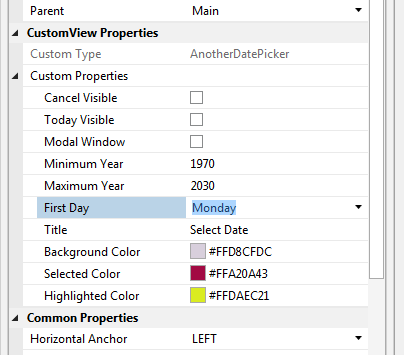 Class properties are listed in the Find All References tool (F7). Code obfuscation (same as in B4A). Rapid debugger memory handling was rewritten to provide better performance and to avoid memory leaks. Libraries list - Checked libraries are listed at the top of the list. Duplicate line shortcut - Ctrl + D.
AutoComplete shortcut - Ctrl + \ (same as Ctrl + Space). 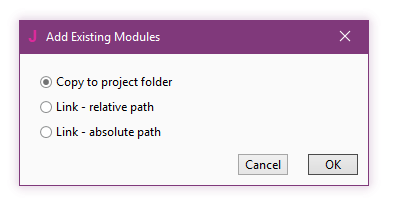 Hide other modules option when right clicking on the module header. CurrentStatement and breakpoints colors are configurable in the xml file. This update includes the new features added in B4A v3.80. The main new features are conditional compilation and build configurations. Auto complete for layouts and assets files. Server - Correct mime types are set based on the file extension. jSQL - Fix for a potential memory leak. HttpSession.RemoveAttribute was mistakenly named RemoteAttribute. The method name is fixed. Server library supports ssl (https) connections. Json library converts arrays to lists automatically. Together these two features make it easier to build Json strings. 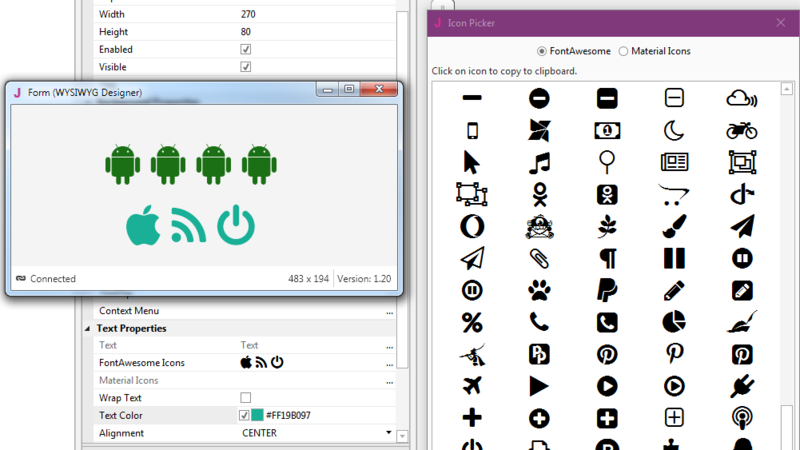 Note that these features will also be included in the next version of Basic4android. Debugger runtime performance is now close to non-debugged applications. This update fixes a set of bugs and also adds support for TabPane (similar to TabHost or TabControl). Peter Simpson, lemonisdead, Roberto P. and 6 others like this.